"In today's world, physical pain has become the focus of our attention. Not only does pain debilitate us, but it also robs us of our hopes, dreams, energy, confidence and motivation. The good news is that physical pain, be it chronic or episodic, can be eradicated permanently. All a person needs is the knowledge of the true cause of pain and a personally directed plan to treat the cause." At Outstanding Lives International we believe that every unique individual has the ability to achieve a successful and healthy future. Whether you are searching for physical or emotional healing, we offer a mastery of individually tailored therapies to guide, support and nurture you in order to create your own outstanding life. Our constant and continuous attention to detail enables our unique Permanent Hay Fever Relief Process to be updated regularly and Allergy Testing can be specific to each monthly change in allergens in the atmosphere. The Hay Fever Relief Process and Allergy Testing specifically identify new chemical allergens and industrial pollutants which are introduced unseen into the air that we breathe. Our Permanent Hay Fever Relief is the most up to date and allergen specific treatment on the market and is revolutionary in its effects on improving the health of the immune system. Our physical healing techniques, for both acute and chronic ailments, will remove any pain and disease, enabling the body to bring itself into balance, leading to well-being and vitality. Outstanding Lives International offers a complete healing experience. Working holistically, we balance the body, mind, spirit and emotions to produce optimum health and well-being on all levels. Our professionalism and years of experience enable us to establish the body’s healing needs, ensuring the best possible treatment for each individual. 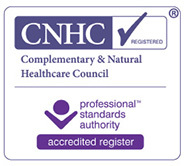 Specialising in immediate results, we value each client as unique, offering a personal and individual healing experience within a safe, supportive and nurturing environment. Time is given to each client ensuring that they get the most benefit from the treatments, maximising their healing effects. Each treatment, or combination of treatments, is different and unique to each person, and is selected according to each individual’s needs, promoting the body’s own ability to balance, restore and renew itself. Emotional healing techniques include NLP, hypnosis and other psychological approaches, enabling each client to achieve success, growth and personal development. Whether you are searching for a new path in life, or healing from emotional trauma, our passion is to help people achieve their dreams and goals, unleashing the creative potential inside and helping them to become leaders of their own destiny. To learn more about the treatments, training and seminars that we offer, for both individuals and for groups and businesses, please feel free to explore the website, or contact us with your enquiries. Outstanding Lives International is governed by statutory regulatory bodies, and follows the professional standards and codes of ethics of the relevant professional Associations.